Diamond Dental | #16: The Children’s Dental Benefit Scheme Explained!! #16: The Children’s Dental Benefit Scheme Explained!! 11 Feb #16: The Children’s Dental Benefit Scheme Explained!! If you’re a parent and you’re confused about the Children’s Dental Benefit Scheme, believe me, you’re not the only one! Most eligible families receive a letter in their MyGov account. If like me, you don’t check your account very often – then fear not. your child is (most likely) eligible. If you’re not sure if you receive these payments, call us on 98874447 and we can check if your child is eligible. The Government allocates $1000 for each eligible child for preventative and restorative dentistry. The $1000 is to last over two years. This means any child who had a new allocation in January 2019, you will have until 31st December 2020 to use up the $1000. If you don’t use it – you’ll lose it. Some of the questions we get…. Is it bulk billed at Diamond Dental? Yes – At Diamond Dental we only charge what the government pays. You won’t be out of pocket for anything charged under the CDBS scheme. But, if you don’t attend Diamond Dental (you should!) double check that your dentist only charges the government fees. Dentists charge whatever fees they like. The government only pays back a set amount per procedure. That’s when you have to pay the difference! For example: A dentist may choose to charge $70 for a dental check up. Medicare only gives back a maximum of $52.65 for a check up which means you would be out of pocket $17.35. 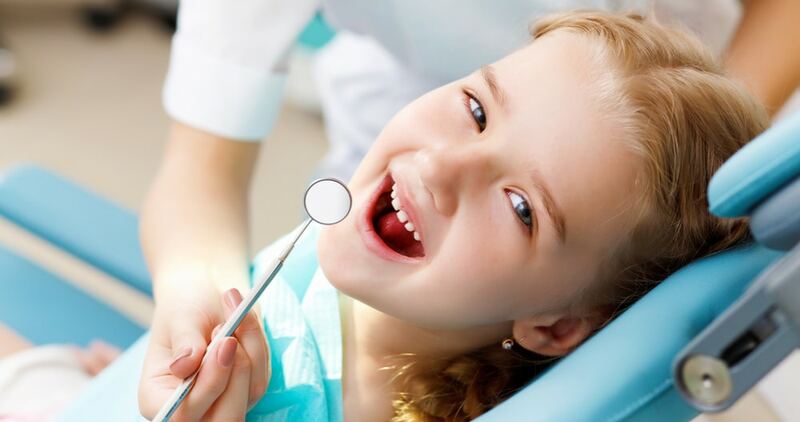 Diamond Dental provides a discount to the CDBS eligible kids making the prices gap free! My child has good teeth and only needs a check up, clean and x-rays. Can I use what’s left of my child’s allocation for myself? Very cheeky – but no. The money is ONLY for your child. What happens to the money if we don’t use it all? If you don’t use the $1000 within the two year period, then it will be gone. The way the system works is if your child has a check up at our office, the dentist gets paid for that check up ($52.65) only. We don’t get paid the full $1000 in advance. After each treatment we send a claim for the work we’ve done and get reimbursed. Can you put through extra item numbers in advance so we can be in credit? Or charge more to put us in credit? No, unfortunately. We can only claim what we have done. The government only pays set fees per procedure. Charging more doesn’t help. My son has used up his allocation, can he use some from my daughters? No. The allocation is only for the one person. Unfortunately orthodontics isn’t covered in the Medicare scheme.